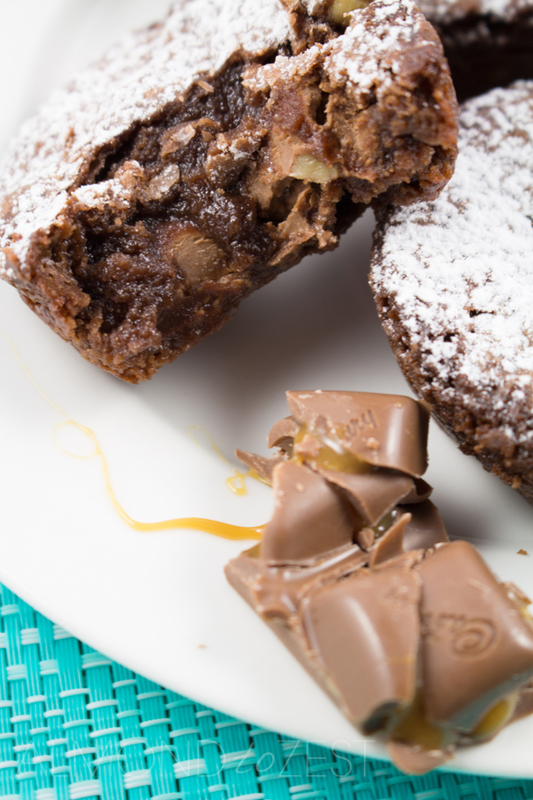 Everybody loves a chewy homemade brownie and everybody has their favorite recipe to make them with. 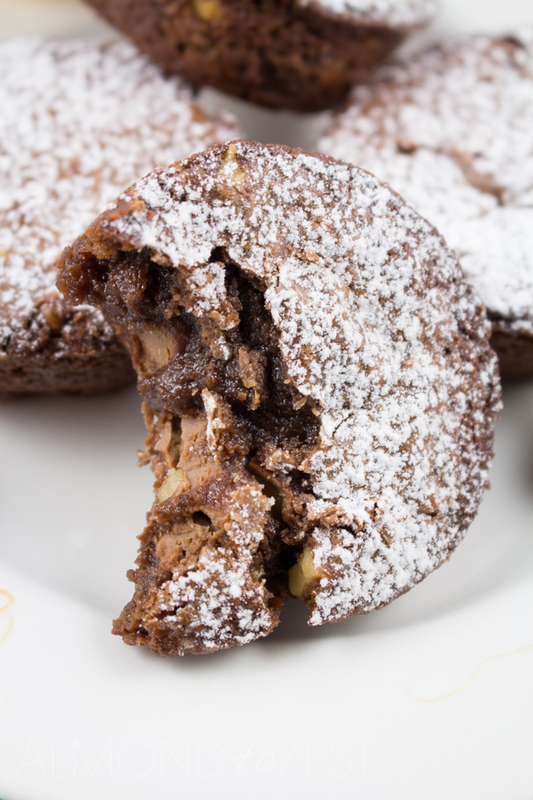 My recipe for these caramel stuffed brownie bites are so addictive you won’t be able to stop at just making one batch. It might even become your new favorite recipe. And if you are a lover of a), b) and c) well then you have hit the jackpot and your brownie world is about to change forever. 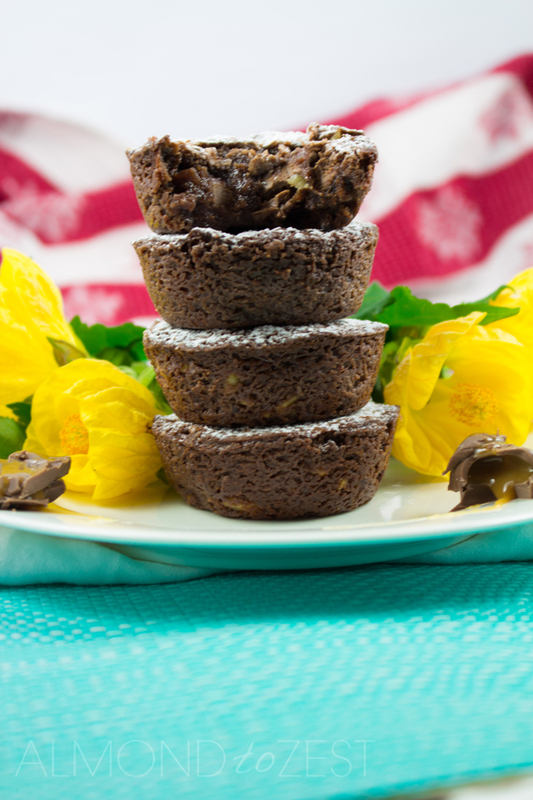 So what is different about my decadent brownie recipe compared to others you ask? Well for starters I have added the extra indulgence of stuffing them with gooey caramello chocolate pieces. They end up melting in the baking process so you get to taste them in every bite. And then there are the diced walnuts pieces that give an added flavor and texture element to the bites. Instead of making this into your usual brownie slab I decided to make these into individual bites by using my muffin tray. And I am so glad that I did because this created a chewy caramelized crust that encases the dense, rich brownie making them even chewier. Plus the advantage of making them individually means that they are all made equal and there doesn’t have to be any fighting over who gets the biggest slice. 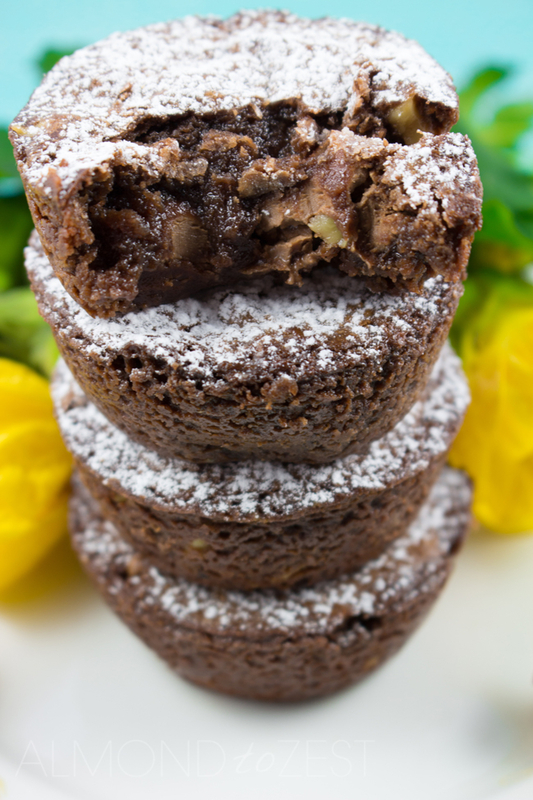 These brownie bites will keep for 3-4 days in an airtight container in a cool dry place. 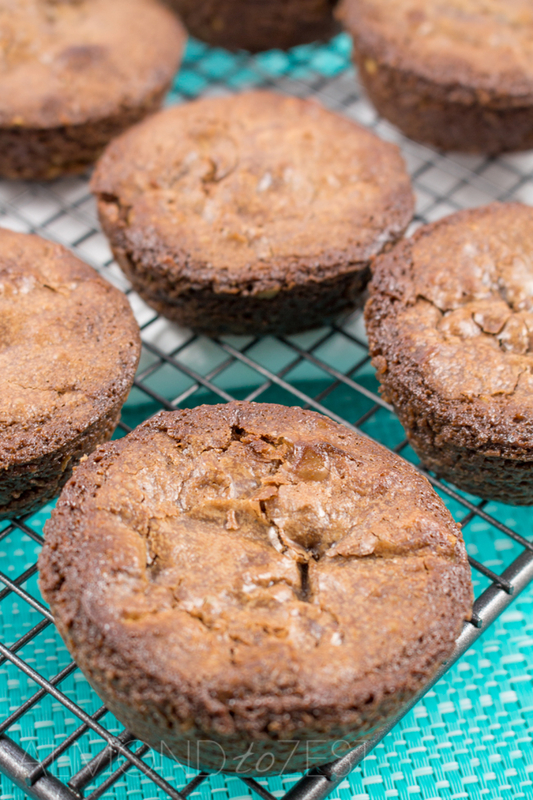 Heat oven to 350 (180C) and spray or grease a 12-count muffin pan. Distribute the walnuts evenly among the pans. 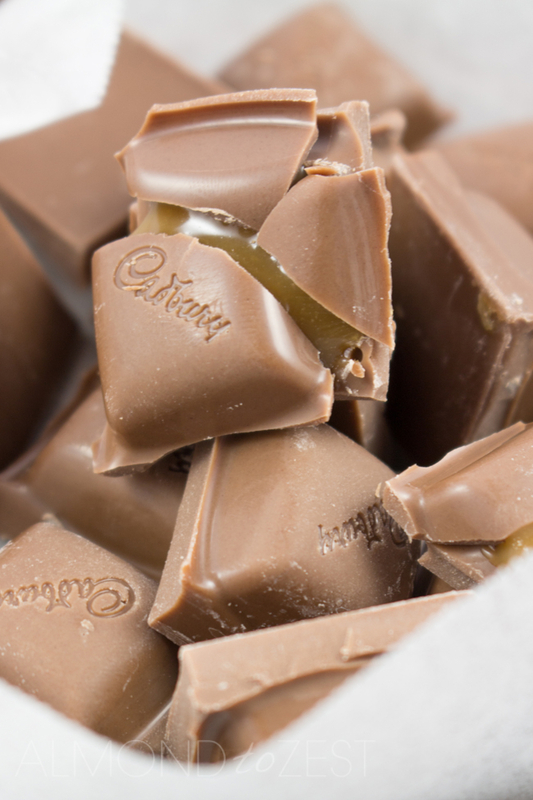 Take a small saucepan and over a low heat slowly melt the butter and chocolate, stir together until smooth. Gently stir in the brown sugar and set aside to cool for about 10 minutes. When the mix still just warm stir in the egg then sift in the flour and add the sour cream and stir until combined. Spoon the mixture over the walnuts into the muffin holes. 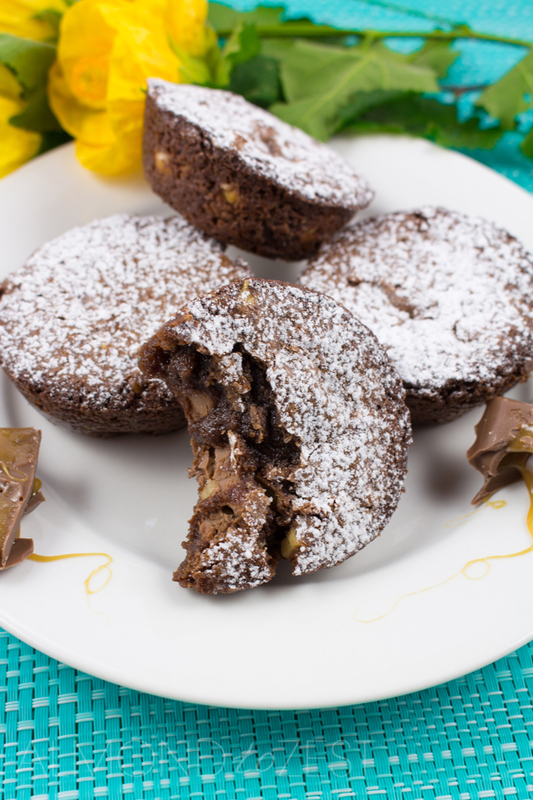 Take 2 pieces of the Caramello chocolate and place on top of each muffin hole and push down gently to allow the brownie mixture spread so they are completely enclosed. Bake for 15-18 minutes. Remove from oven and using a small sharp-pointed knife, or small palette knife; loosen the sides of the brownies from the pan holes. Let them stand for 10 minutes before gently removing from pan.